Stand Up and get fit with this Stand Up To Cancer Short Logo Pullover Hoodie in black. 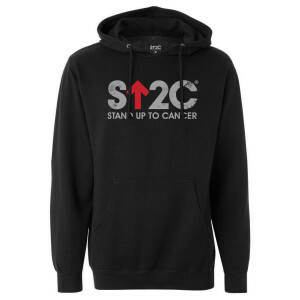 This soft hoodie features a our short SU2C logo. Whether you wear it to run, walk, cycle or cross train, you can be proud to show your support for accelerated cancer research.